It is a cold snowy day her in Germany and my tummy needed some comfort food. 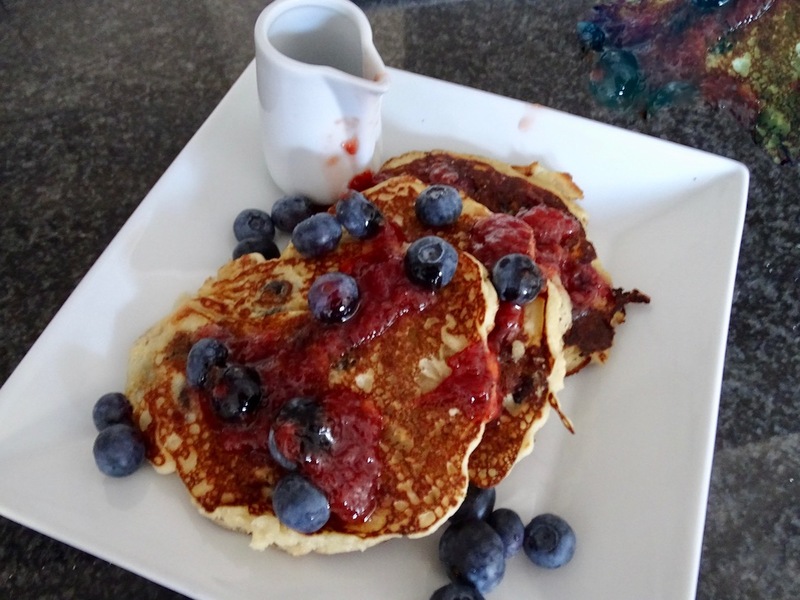 Since going gluten, dairy and soy free for 2 years I have never tried making gluten free pancakes. What a great day to experiment. 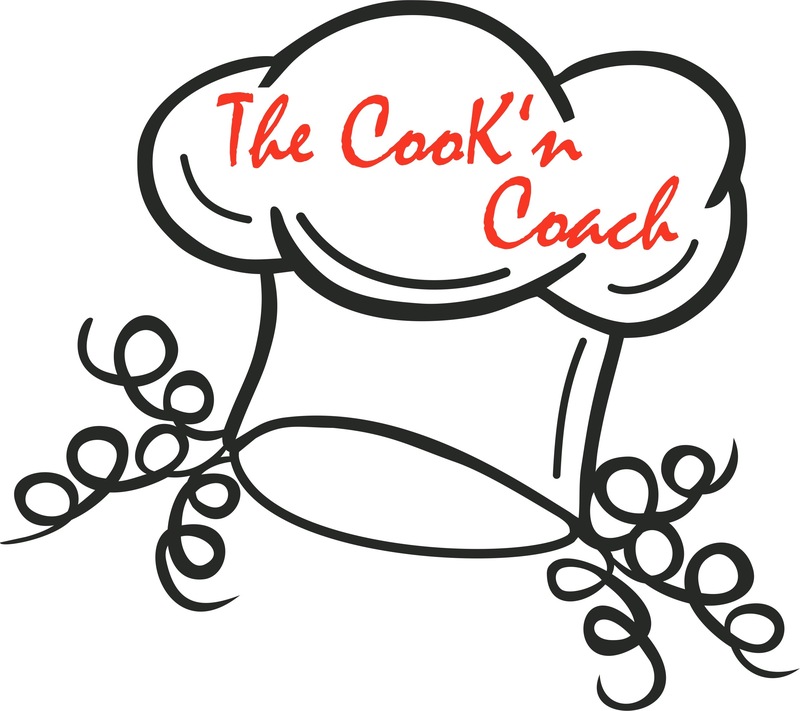 I have been trying to avoid grains as well and have adapted a few of my recipes that used rice flour and exchanged them with cassava. 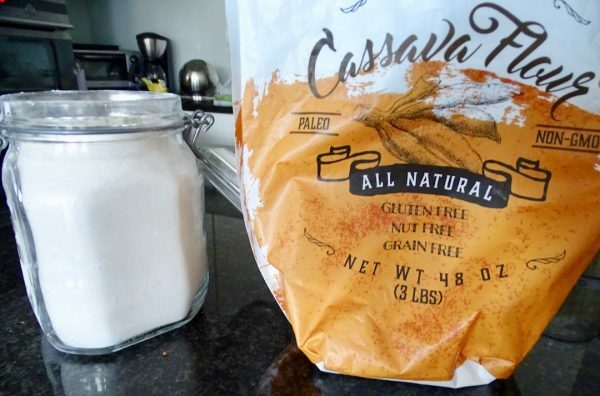 It gives an added nutty flavor and just great consistency to whatever I bake. 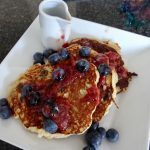 Check out these Cassava flour Blueberry pancakes. With or without the blueberries they are yummy. Try covering them with my Ginger Rhubarb Sauce. Here are a few recipes I’ve altered or created for using Cassava flour! Grease the griddle/pan with coconut oil and heat on medium high. Whisk all the Dry Mixture in a medium bowl. 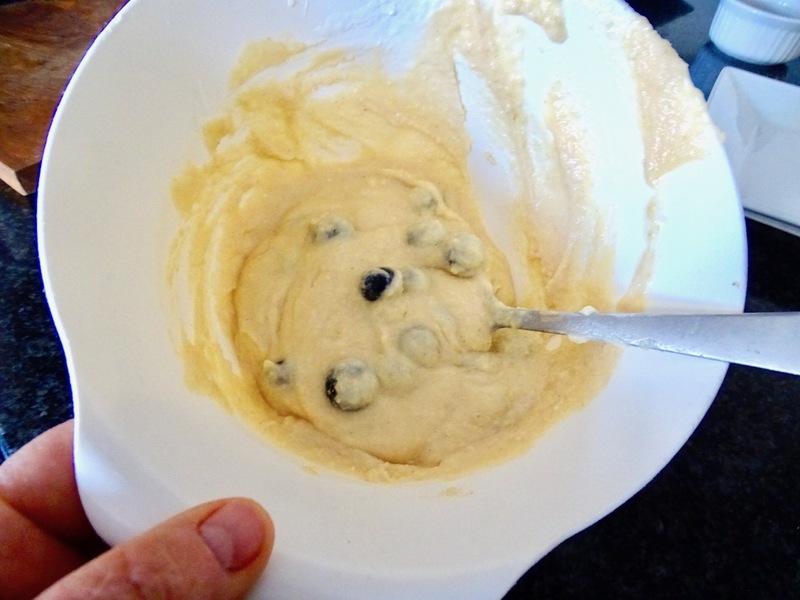 In another bowl, add all the Wet Mixture, except the blueberries, and beat by hand until well blended. You can use a mixer but I was not in the mood to do the dishes! Drizzle the Dry Mixture into the Wet Mixture and beat until smooth. I used a fork and had to add a bit more coconut milk to get the consistency I like for my pancakes. Fold in the blueberries! Make sure the griddle is hot. I always cook a single pancake first to make sure the griddle is just right before dropping 4 on to the pan or griddle. My first one was not hot enough and I had a mess! 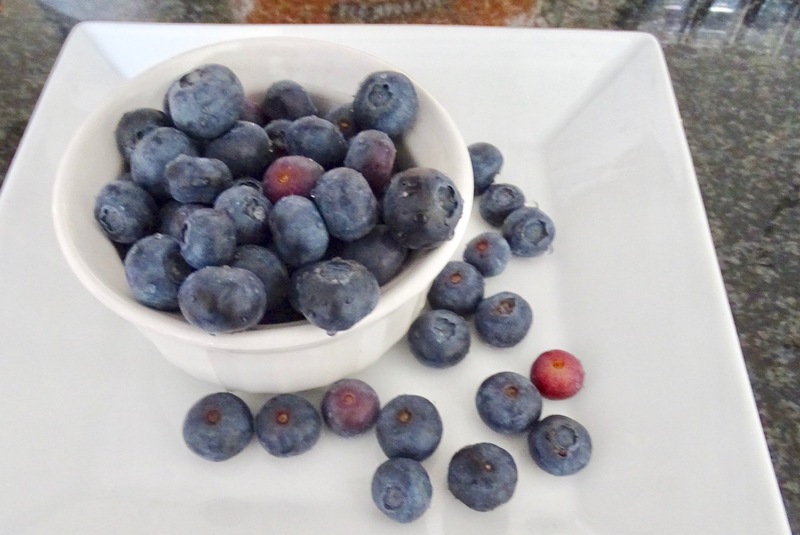 Enjoy with extra blueberries and your favorite topping. I love them with my Ginger Rhubarb Sauce.